The bill has received derision & condemnation across the political spectrum. Conservative MP David Davis described sections of the bill as draconian and ‘like something out of Franco’s dictatorship in Spain’. LIBERTY have stated the bill represents ‘a major attack on civil liberties in the UK’ introducing harsh restrictions on freedom to protest. Further, various trade-union leaders consider the terms of this proposed legislation as ‘a destructive device’. This work will seek to assess if the TUBill does represent such an unconscionable assault on fundamental civil liberties & workers rights, in the context of international law. 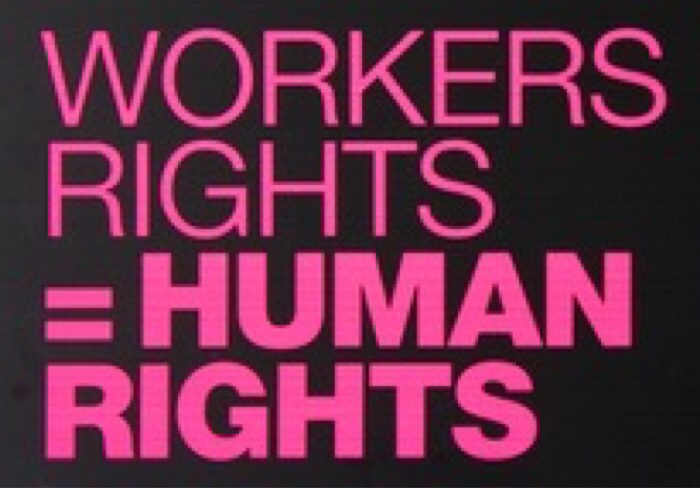 It will seek to illustrate whether the TUBill represents the erosion of workers human rights in the UK. The ‘right to strike’ is recognised in international law through the International Covenant on Economic, Social and Cultural Rights (ICESCR) via Article 8(1)(d). It provides that states must ensure ‘the right to strike, provided that it is exercised in conformity with the laws of the particular country’. Further, it is detailed through Article 8(3) that nothing shall authorize states party to the International Labour Organisation (ILO) Convention of 1948 ‘to take legislative measures which would prejudice, or apply the law in such a manner as would prejudice, the guarantees provided for in that Convention’. ILO bodies have consistently held the right to strike as a ‘necessary corollary of the right to organize and bargain collectively’. The Committee on Freedom of Association (CFA) (an organ of the ILO Governing Body) which despite its constitution not ‘explicitly’ referencing the ‘right to strike’, shows how it is recognised. It is through the ‘freedom of assembly’ that the CFA makes recognition of its fundamental importance as ‘a legitimate means of defending their economic and social interests’. The United Kingdom (UK) is party to the ICESCR, having ratified it in 1976, agreeing to abide by its terms in the formation of domestic legislation, though the ‘dualist’ nature of Britain’s legal system does enter into consideration in terms of if UK governments see themselves as ‘bound’. Further, the UK is a contracting state to the European Convention on Human Rights (ECHR) and equally has consented to abide by its terms, as per Article 1. Under the ECHR, as regards all rights detailed by it, ‘right to freedom of peaceful assembly and to freedom of association’ may only be restricted or curtailed only if ‘necessary in a democratic society’ on the basis of ‘the interests of national security or public safety, for the prevention of disorder or crime, for the protection of health or morals or for the protection of the rights and freedoms of others’. This criteria will be used in an assessment of whether the terms of the TUBill would be validated under the exceptions of Article 11(2). (See Hrvatski liječnički sindikat v. Croatia (application no. 36701/09)). Many commentators consider Britain as currently having in place the ‘most restrictive regulation of the right to strike’ in the European context. Historically in the common law, interruption of work for strike action was seen as a breach of contract and thus not protected by courts. It was not until after the Second World War that substantive legislative protection providing immunity for industrial action emerged. It can be said there is no ‘fundamental right to strike in Britain’, as strikes are seen as a freedom and governed by statute & common law. Equally, by virtue of the ‘dualist’ nature of Britain’s legal system, the implementation of international law on workers’ rights & freedom of assembly is problematic. The legislation currently outlining the freedom of the ‘right to strike’ is the Trade Union and Labour Relations (Consolidation) Act (TULRCA). The TULRCA 1992 sets out detailed procedures unions must abide by prior to taking industrial action. Unions must take a ballot to verify the support of the workers in favour of the strike, notify the employer (not later than the seventh day before the opening day of the ballot) that the unions intend to hold the ballot, and provide the employer with a list of the categories of employees to which the ballot will be proposed. A ballot in relation to industrial action ceases to be effective after four weeks. Judicial interpretation in respect of the above statutory rules on ballots for strike action & the validity of ballots has been traditionally restrictive & ‘narrow’. According to the Institute of Employment Rights (IER) Britain has some of the most complex and strict strike laws in Europe. The IER notes that it is ‘easy for employers to take out injunctions for small infringements’. Ballots can, under current legislation, be declared invalid on the basis of arguably minor or inconsequential statutory breaches. The case of Metrobus is illustrative of this. It concerned allegations that UNITE had failed to meet the obligations under the TULRCA 1992 in respect of section 231(a). UNITE, which represented bus drivers working for several private bus companies including Metrobus, had held a ballot for industrial action as per Section 226. Metrobus however, cast doubt on the accuracy of the ballot contending that figures in the ballot notice were inaccurate, and that UNITE had delayed unreasonably in notifying the result to them as an employer. Initially the High Court found against UNITE on three defects, rendering the action unprotected; the matter went to the CoA. Firstly, the CoA upheld the High Court had been correct to find that s.231A imposed a free-standing obligation on U to inform M of the result of the ballot, which had to be performed even if the union did not initiate industrial action. Second, it affirmed that the obligation under s.231A was not too onerous: it was an obligation to do something as soon as reasonably practicable. Most troubling from a human rights perspective were the words of Lloyd LJ who held that ‘provisions with which this appeal is concerned are not disproportionate restrictions on rights under article 11’. Further Maurice Kay LJ (also dismissing the appeal) stated ‘the right to strike has never been much more than a slogan or a legal metaphor’. The ‘ASLEF & RMT’ case can be taken to show the (arguably limited) impact & influence of international law on workers’ rights & freedom of assembly in the context of the approach of British courts. Yet, it can also be seen to demonstrate the potential for consideration of the application of human rights jurisprudence & Article 11 of the ECHR. This work considers the need for a neutral approach in the reasoning of the domestic judiciary, with regard to the freedom to strike, which may be able to take greater consideration of international human rights via Article 3(1) of the Human Rights Act. – Lifting a ban on use of agency staff when strike action takes place. – Imposition of restrictions on picketing, further undermining the collective bargaining power of working people. – Proposing new legislation to change union political funds from the current ‘opt-out’ system to an ‘opt-in’ system. This is a clear attempt to reduce the ability of trade unions to fund not only political parties but a wide range of non-party political entities. An “opt-in” system for trade union political funds would affect all political activities of trade unions, not just donations to the Labour Party. These proposals represent an attack on & attempt to de-politicise the trade union movement, in order to prevent opposition to Government policy & de-fund the Labour Party. In terms of the ‘right to strike’ firstly the proposals for “50%” thresholds are extremely problematic. Under these proposals, abstainers or members the union cannot contact (e.g. because of a wrong address) are effectively ‘no’ voters. This provision is a severe restriction on the processes of trade unions for the implementation of strike action. Old fashioned postal ballots generally result in low turnouts. Trade unions have long been keen to modernise voting and work with government to introduce online and phone voting, already permissible under s54 of the Employment Act 2004. Yet this has never been introduced & the Conservatives are actively opposed to it (Odd given how Zac Goldsmith was elected as their London mayoral candidate….). No acceptable reasons can be seen to have been presented by Sajid Javid for rejecting this other than vague rhetoric regarding “security”. This reveals the government’s real strategy in the implementation of this bill; to stop strikes via draconian measures & not ensure workplace democracy. As noted previously, under the ECHR any such measures limiting the ‘right to strike’ may only be limited if ‘necessary in a democratic society’ on the basis of ‘the interests of national security or public safety, for the prevention of disorder or crime, for the protection of health or morals or for the protection of the rights and freedoms of others’. The vague reasoning put forward by Sajid Javid can hardly be seen to fit within this criteria. 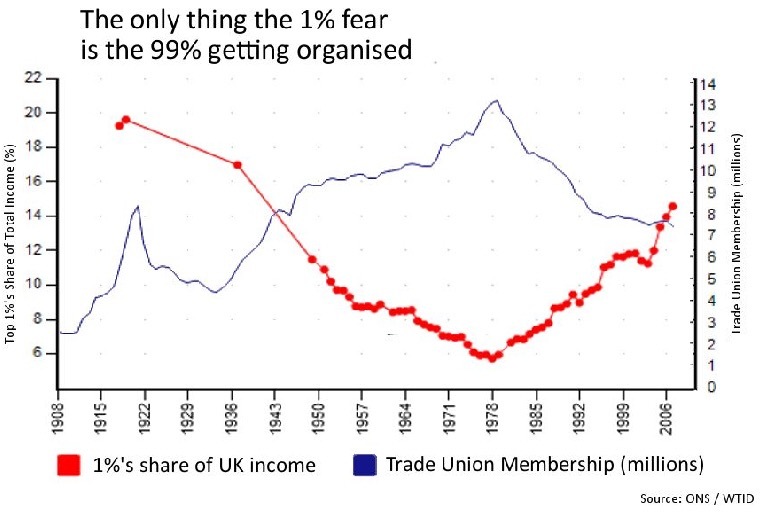 Britain in 2015 is not held ransom by “power-hungry trade union barons”, the country is not regularly brought to its knees by mass union strikes. The closest thing to that was the London Underground drivers’ strike for 24 hours back in the summer; and even here it was caused more by Boris Johnson’s incompetence than any “unreasonable” demands. • £45m-£207m benefits to society as a result of reducing work related illness. Years of pay freezes & real pay cuts, attacks on pension entitlements and the loss of hundreds of thousands of jobs. 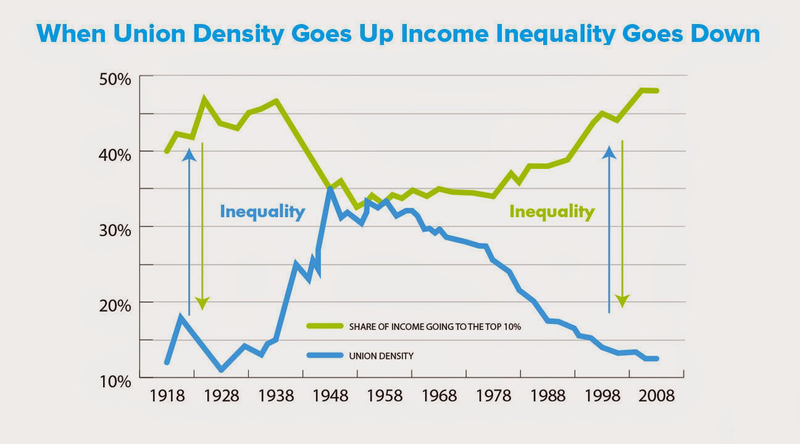 Unions need greater power to fight in workers interests in both the public & private sector. Returning to the criteria of the ECHR, regarding legitimate limitations on fundamental rights, it is fair to say the restrictions on balloting will be hard to meet for many unions. They are clearly disproportionate. When looking at the proposals in Clause 3 regarding 40% support threshold in “essential” public services, this too can be interpreted as an absurd, harsh & draconian restriction. This measure of the TUBill stops public sector workers from opposing the extreme cuts and pay freezes of the kind imposed by George Osborne. The measures will apply to employees of private companies providing public services, and also to completely privatised industries such as rail and other transport workers. It goes beyond restrictions which the ILO considers acceptable restrictions on the right to strike under ILO Conventions. The ILO restricts this to services “the interruption of which would endanger the life, personal safety or health of the whole or part of the population” (General Survey 1994, para 159). Transport services, public transport, public education, port authorities, postal services and others all fall outside this category (General Survey on Fundamental Conventions (2012) para. 134). 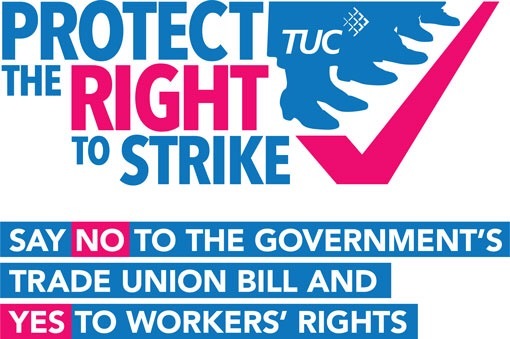 The TUBill represents a naked attempt to restrict the right of workers to withdraw their labour. Previous: Previous post: Lords Tax Credit Vote; Osborne’s Poll Tax moment? Next: Next post: The Tories and housing: A history of violence.